For Architecture Exams Batch 2011/12, the class will start very soon. 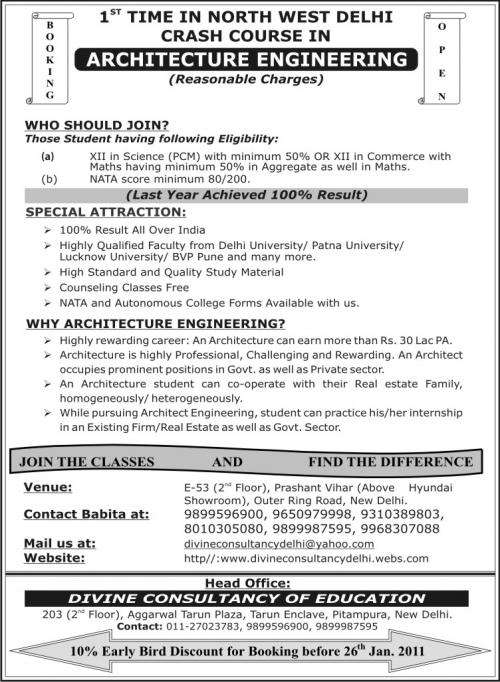 For new batches, class will be started in the end of December. Contact soon for 10% early bird discount before 26th January 2011. E-53 (2nd Floor), Above Hyundai Showroom, Outer Ring Road, Prashant Vihar, New Delhi -85.